The Editorial Committee of IMISCOE has accepted the book ‘Integrating Immigrants in Europe: Research-Policy Dialogues‘ for publication. The book is edited by Peter Scholten, Han Entzinger, Rinus Penninx and Stijn Verbeek. It brings together theoretical contributions by key experts as well as new field work on the interaction between research and policymaking in the field of migrant integration. New book chapter, The multilevel dynamics of migrant integration policies in unitary states; the Netherlands and the UK, out now. 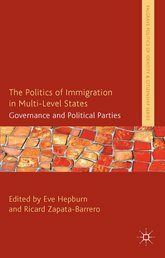 It’s published in the book ‘The Politics of Immigration in Multilevel States: Governance and Political Parties’, edited by Eve Hepburn and Ricard Zapata. Read more on this book here. 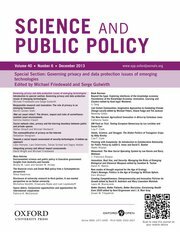 The article ‘Politicization and expertise; changing research-policy dialogues on migrant integration’ has now be published online but the journal Science & Public Policy. It has been co-authored by Stijn Verbeek, as part of the DIAMINT project on ‘Science-society dialogues on migrant integration in Europe’ (see www.diamint.eu). For free access to the article, click here. The article ‘Policy populism? Political populism and migrant integration policies in Rotterdam and Amsterdam‘, published in Comparative European Politics, is now available online. The paper on ‘Analysing local policy agendas; how Dutch municipal local executive coalitions allocate attention’ has been published online. The paper, co-authored with Gerard Breeman and Arco Timmermans, is published by Local Government Studies. You can find the paper via this link. Looking forward to chairing a two-day workshop on ‘the multi-level governance of migration and integration’ together with Ilke Adam (VUB). The workshop is part of the Politicologenetmaal 2014, to take place at Maastricht University 12-13 June. This wednesday, I’m speaking at a symposium of the UniteEurope project (FP7) on ‘Social Media Analytics for Migrant Integration.’ My talk will cover the topic ‘Social Media and the Local Turn in Migrant Integration Studies’. For more information, see www.uniteeurope.org, or download the full program at link. The UPSTREAM projects addresses the issue of mainstreaming in immigrant integration govenrance. The project, funded by the European Integration Fund, asks why, how and to what effect integration policies are mainstreamed in a number of cases (EU, Netherlands, UK, Spain, France, Poland). 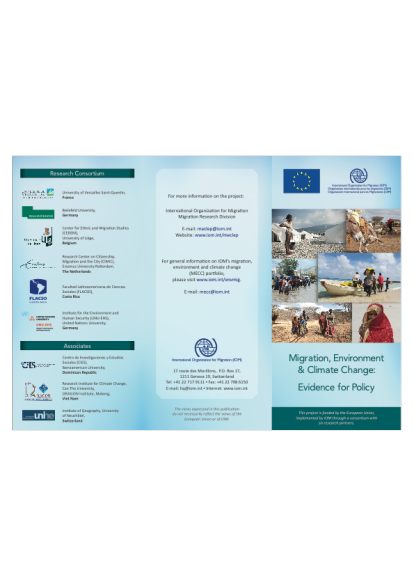 Happy to be joining the MECLEP project on ‘Migration, Environment and Climate Change: Evidence for Policy.’ This is a three year (2014-2016) project funded by the EU and led by the International Organisation for Migration (IOM). A comparative paper based on the DIAMINT project (www.diamint.eu), co-authored with Stijn Verbeek, has been accepted by the journal Science & Public Policy. The paper is titled ‘Politicization and Expertise: Changing Research-Policy Relations on Migrant Integration in Europe’, and compares case-studies of Austria, Italy, Germany, the Netherlands and the EU. 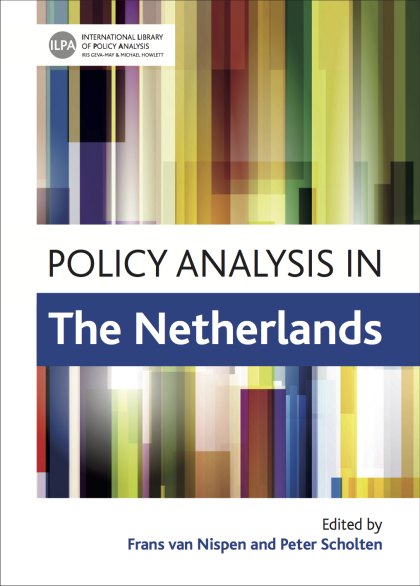 Always a nice moment in such the tedious process of producing an edited volume: our book ‘Policy Analysis in the Netherlands’ (edited with Frans van Nispen) is now officially ‘forthcoming.’ The book is part of an international series on policy analysis, edited by Geva-May and Howlett. Accepted for publication: article together with Gerard Breeman and Arco Timmermans on “Analysing Local Policy Agendas: How local executive coalitions allocate attention.” The article will be published online and on paper soon by Local Government Studies. 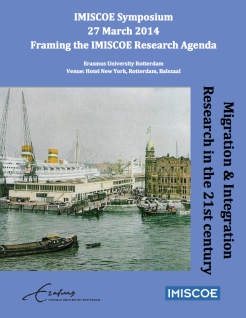 On March 27th Erasmus University Rotterdam organises a symposium ‘Migration and Diversity Research in the 21st Century; framing the IMISCOE research agenda‘ (in Hotel New York, Rotterdam). The meeting marks the start of the coordinating role of Erasmus University in the IMISCOE network. On 23-24 January, the second project meeting will take place of project IMAGINATION. This JPI-Urban Europe funded project focuses on the the Urban Consequences and Local Governance of CEE Migration in Europe. The meeting will be hosted by Ozyegin University (Istanbul), one of the project partners. For more information, and for the conference program, see www.project-imagination.eu. The Politicologenetmaal is to take place at Maastricht University, 12-13 June 2014. Together with Ilke Adam (Free University Brussels) I will chair a panel on ‘The multilevel governance of migration and integration.’ For the panel, see here, and for the full conference, see here. Paper proposal can be submitted until March 1st.